I remember watching only a few movies growing up: Home Alone, Pretty Woman (inexplicably, given that I wasn’t even allowed to watch PG-13 movies until I was 13), Newsies, and The Sound of Music. We knew The Sound of Music better than the Von Trapp family. I don’t know why, but it was a family staple, and I have to say that it’s a pretty good movie. I remember having a crush on the “16 going on 17” girl. I’m sure she’s 18 by now. 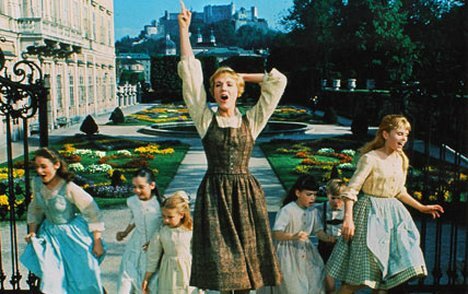 The movie has a number of famous songs, perhaps most notably “The Hills Are Alive with the Sound of Music, Da Da Da Da” (I think that’s the actual title). But the song that is most sung from the movie thanks to kindergarten classes everywhere is the Do Re Mi song. That’s what I’m here to talk about today. I’m going to dissect these lyrics. Most are fine, but there’s one line that is such lazy writing that I’m writing a blog post about it. Let’s get started. Doe- a deer, a female deer: Sure, I have no problem with this. Ray- a drop of golden sun: I would have gone with “LaMontagne,” but this is fine. Me- a name I call myself: It’s not really a name, but it’s close enough. Far- a long long way to run: Or bike. Or swim. “Far” is far no matter how you get there. Sew- a needle pulling thread: This is straight from the dictionary. Great job. La- a note to follow so: Wait a minute! This is the line. This is THE line. After the careful writing that preceded this line, the best you can give us is “a note to follow so.” It doesn’t mean anything out of the context of the song! At least some of the other lines offer educational value. See, you just learned something, as did the Von Trapp family. Let’s finish the song. Tea- a drink with jam and bread: You bet it’s a drink with jam and bread. 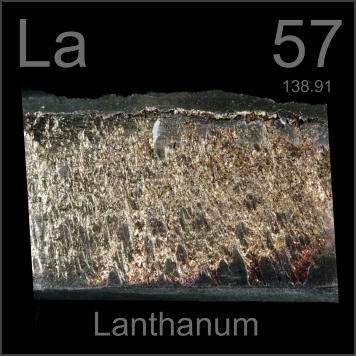 Unless it’s lanthanum jam, and then you better not eat it. That will bring us back to do oh oh oh: Again, not great writing, but we need something to refresh the refrain. I’m glad we finally solved that problem. Do you have any other song lyrics you’d like me to fix in the future? This entry was posted on Tuesday, March 26th, 2013 at 10:00 pm	and is filed under movies, music and tagged with movies, music. You can follow any responses to this entry through the RSS 2.0 feed. I think it’s only appropriate that the follow up entry to the “Do Re Mi” song would be “The Thong Song.” Good call. Seriously, I didn’t know “The Thong Song” lyrics until now. Thanks, Ansley. That definitely brings back some memories. I can’t decide if knowing all the lyrics to that song makes me really cool or absolutely pathetic. Either way, I turn it up all the way and roll the windows down when it comes on….and I sing loudly, for all of Birmingham to hear. What song is that, John? Boom boom pow. Black eyed peas. I also feel that tee should be, “tee, a note to follow La.” If they copped out on la, why not tee too? I think I might lose all of my readers if I ever sang on the blog. Then you can have someone sing your work for you. A singing contest? This was incredibly entertaining! Thanks for writing this. I, too, watched both Pretty Woman (again, inexplicably – but it was the taped from TV version, so maybe that makes it better?) and The Sound of Music growing up. Ha ha…thanks Elaine! That’s such an odd thing about Pretty Woman. I wonder why my parents were okay with that. They probably knew that I had no idea what was actually going on in that movie. There are many, many song lyrics I’d love to rewrite, and nearly all of them are centered around misuse of the English language (frequently the adverb). No wonder today’s youth cannot speak or write with any degree of eloquence. A recent example is Rihanna’s “Diamonds”. The singer repeatedly exclaims, “Shine bright like a diamond.” Shine is clearly a verb. So…umm…where’s the adverb that modifies that verb? It’s nowhere to be found! Instead, she employs “bright,” which is clearly an adjective! This really boils my oil. I’m sure she could have made the cadence work somehow if she’d properly used “brightly” or modified the sentence to avoid needing an adverb. I’m open to your suggestions for Rihanna. Trev–You’re absolutely right. Based on songs and advertising (Remember Apple’s “Think Different” campaign? ), I wonder if the “-ly” is on its way out. Then Rihanna will have the last laugh. Jamey – to keep the rhyming correct, I think the verse needs to rhyme with “do.” How about? Ha ha…I love it! Well done, Emma. Unfortunately, I can’t solve it either. As ‘La’ isn’t really a word, and we need to rhyme with ‘Do’, you could sing: ‘La, a word we do not know’ – which is at least true. ‘La’ can be used, albeit uncommonly, as an interjection expressing surprise, or an abbreviation of Los Angelos. But I can’t see a way of making these facts fit naturally into the lyric. The best we can hope for is that the word ‘La’ comes into common usage in the future, and then the song can finally be fixed! That will bring us back to Doe! But this is inconsistent because all the other words are homonyms. Therefore, ‘La’ would have to be something like ‘Lar’, which is a type of Gibbon or an ancient Roman religion. No, I’m stumped! Not being a native English speaker, I tripped with this song in Spanish (my native tongue). There is a precious (and obviously adapted) translation of the whole lyrics into the Spanish film that you can also hear in school shows, some other events or, as in my case, in a wedding. I liked it and wanted to go deeper into it going to the original lyrics. Then I found, to my surprise, that in the original song they used Do Re Mi etc. as in Spanish, while I always thought that those notes were A, B, C… in English, which I expected to find. It seems that in English you can use one form or the other (not sure about this since I’m not in music) to name the notes. Anyway, in reading the English lyrics I noticed the same thing that you have underlined here: it seems that the writer didn’t find any satisfactory meaning to assign to La, so he just did a verse to “fill” the gap with not very much effort. I’m very happy, as an always learner of English, that you took the time to write this explanation about the song and the “missing” line. I’m also thankful because it was not easy to me to dissect if the sound of Do and Doe (and the other pairs) sounded exactly the same in English or were mainly based on phonetic licences. Thank you for clearing it up. By the way, “La” is a Spanish word: singular feminine article equivalent to “the” in English, but only for femenine words in singular. It also has the meaning of direct or indirect object to refer to femenine people, animals and/or things. Now it’s up to all of you to include this meaning as another alternative in the song. I don’t dare to come with anything right now, but you are obviously commanding English much more than me. It’s funny because in the Spanish version they take the meaning of “fa(r)” in English to fill that line of that problematic sound in Spanish: “Fa… es lejos en inglés…” (=Fa… is distant in English…»»» I write “distant” here not to repeat “far” in the definition).